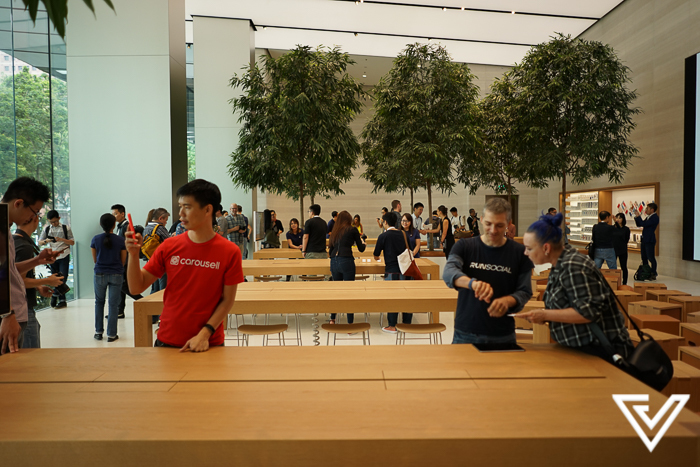 In the few anxiety-ridden months of waiting for our very first Apple store to open its glass doors, all we had were carefully-released snippets of information to cling onto. 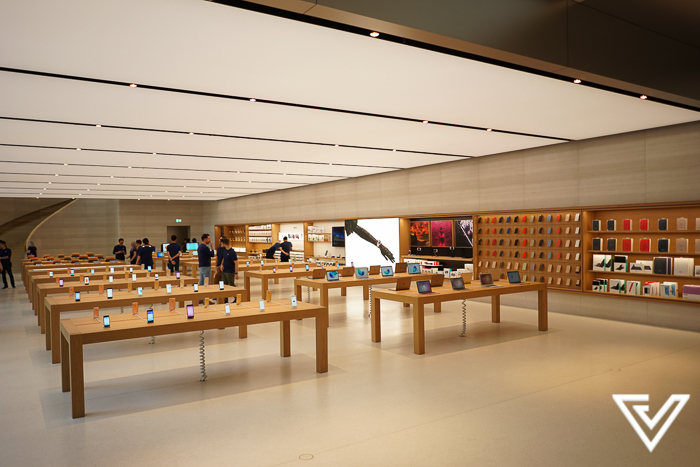 Speculations were also rife – will the Singapore store have country-specific specials like Japan’s Fukubukuro tradition? With its strict employee training system, will we also be able to enjoy exceptional customer service from its staff? While none of that was revealed, one piece of information stood confirmed – that homegrown solar energy provider Sunseap will be the sole provider of the store’s power supply. 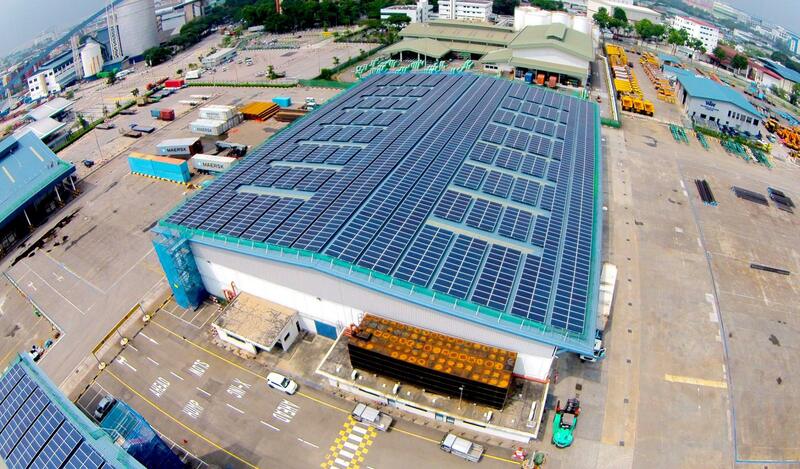 This also meant that the store is also the first establishment in Singapore that runs entirely on solar energy. 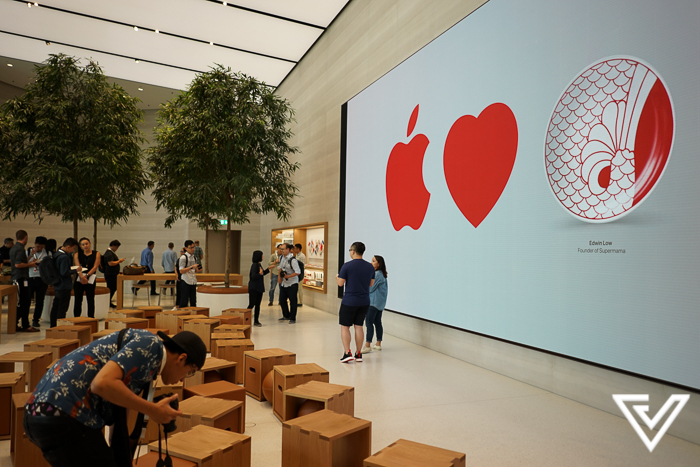 We’re thrilled to be working with Sunseap and the government of Singapore to pioneer new ways to bring solar energy to the country and bring Apple even closer to our goal of powering our facilities around the world with 100 percent renewable energy. Fast forward to the end of May 2017, and we took a tour of the space, fully aware (and relieved) that its many bright lights and screens were powered by clean energy. But while the store has been getting a lot of attention, the local company that has been lighting up its beautiful facade still remains in the shadows. Perhaps this is also due to the not-so visible locations of their panels as most of them mounted on the usually inaccessible rooftops of tall buildings. 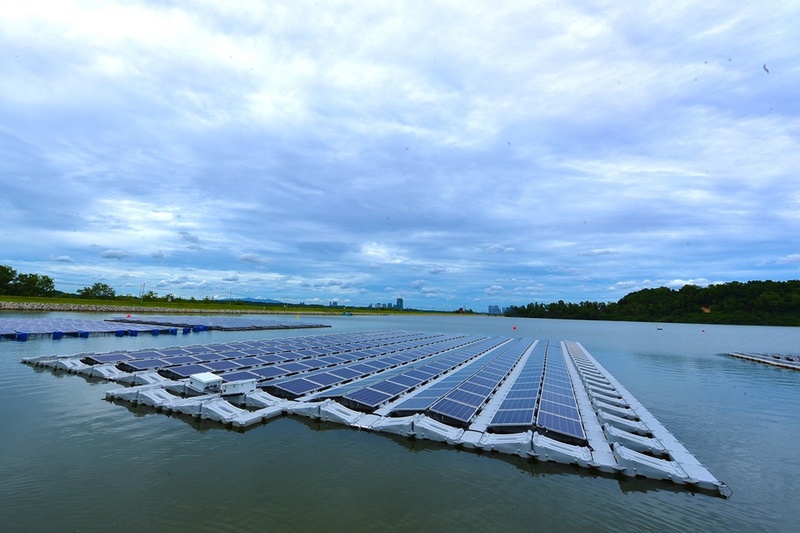 Recently, the same company had also partnered with the Solar Energy Research Institute of Singapore (SERIES), and participated in the largest floating photovoltaic (PV) testbed in Singapore at Tengeh Reservoir. We talked to the founders of Sunseap, and found out more about the company that is helping to make solar power a mainstay source of energy in Singapore. 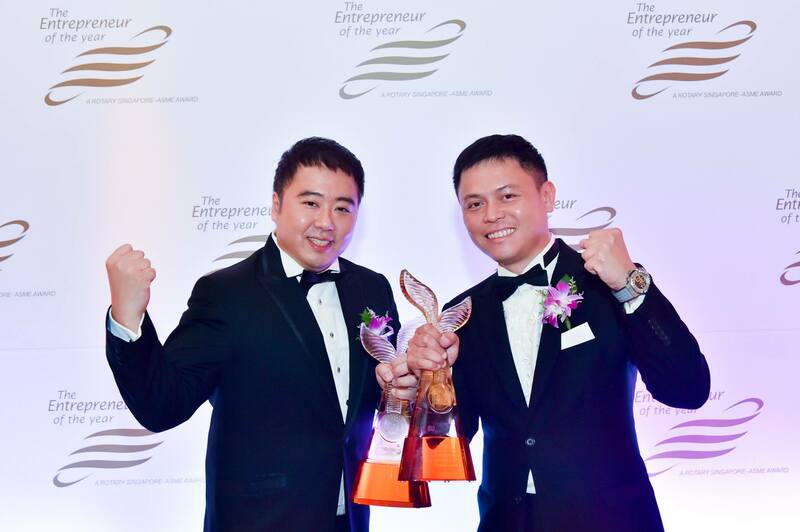 The founders of Sunseap are Frank Phuan and Lawrence Wu, both of whom are Nanyang Technological University (NTU) alumni that graduated in 2000. Albeit being in different courses – Lawrence in accountancy and Frank in engineering, they met through a group of mutual friends and it was only 9 years later, in 2009, that they both had the common identification that there was a growing trend of renewable energy. It was also then that they conceptualised the business model for the company. We want Sunseap to provide affordable clean energy solutions to everyone. This was when they stumbled upon the solar Power Purchase Agreement (PPA) model, where solar energy adopters need only to pay for their usage through electrical bills on a monthly basis – something like how we pay for our bills now. 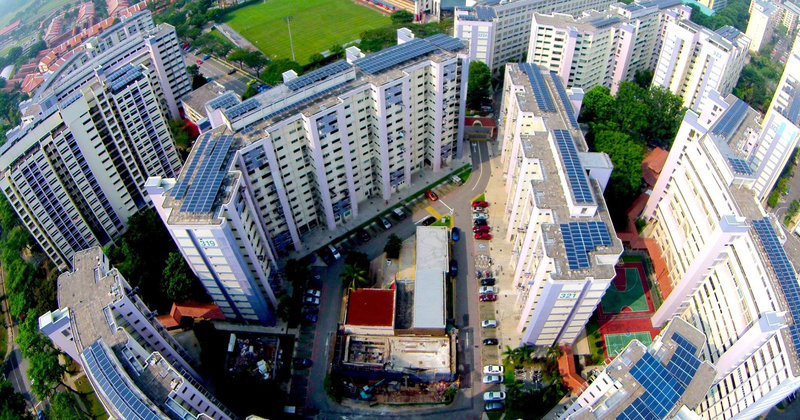 In 2011, they formed their first solar energy business entity – Sunseap Leasing Pte Ltd. 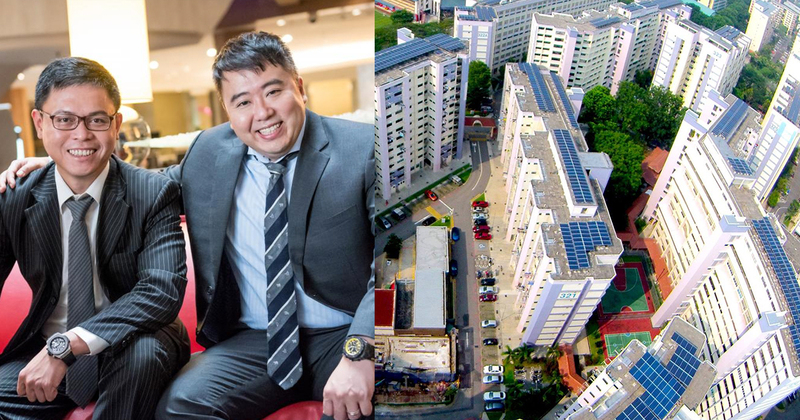 It was in the same year that they had their first solar PPA project, which was with 40 blocks of HDB flats under the Punggol-Pasir Ris Town Council. Since then, they have installed panels on “thousands of HDBs in various town councils including estates in Jurong, Tampines, and Punggol”. Frank’s experience with his family business, which started manufacturing solar panels in 1979 also helped greatly in the setting up of Sunseap. Lawrence’s accountancy/banking background also helped with the financing aspect of the business, “particularly in raising the requisite funding and helped put in place the capital structure required to implement our solar projects”. But even with their solid backgrounds, the duo admits that it was “especially tough” for their business to secure significant funding during their early years. Their first project – two MegaWatt-peak (MWp), across 40 rooftops to 200 MWp across 2,000 rooftops – was also at a scale that the industry, still at its infancy stages, wasn’t ready for. We had to literally grow our entire value chain. With the demand we created, we have to create the supply. Taking matters into their own hands, they then started training workers in the construction and the mechanical engineering sector – almost transforming some of these companies overnight to become solar companies. From their first project to now, they have swelled from four staff (including the founders) to around 90-strong currently. As for funding, energy giant Royal Dutch Shell has also just invested in them for an undisclosed sum as part of a planned collaboration on solar projects in the Asia-Pacific region. Over the years, Sunseap has also managed to clinch an impressive portfolio of clients – mainly comprising businesses in the commercial and industrial sectors. Apart from those they won through government tenders, some of their bigger clients include Panasonic, Jurong Port, Cambridge Industrial Trust, and United Technologies. As expected, both count the Apple project the ‘breakout’ for their company. 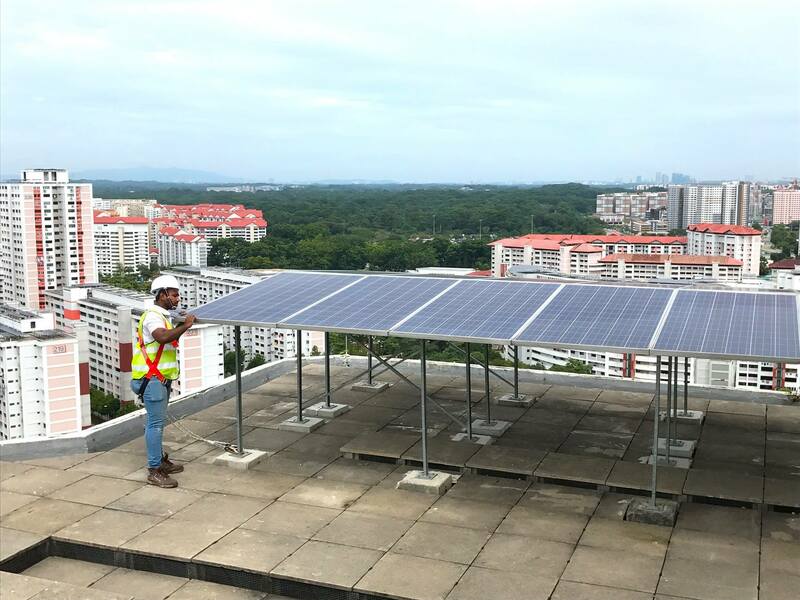 He admitted that while the project was indeed challenging, it had helped them to develop their second business, Sunseap Energy Pte Ltd, that specialises in offsite clean energy supply for businesses who are keen to utilise clean energy, but do not have access to a roof to install a solar system. Not just to save the environment with green energy, the company also has a mission to help Singaporeans save money – by producing enough solar energy so that its price in the market would eventually be low enough for all the afford. I think solar energy has the opportunity to become the lowest priced and the most affordable energy globally, and when that time comes, it will not make any sense to choose any form of energy other than those generated from renewable sources. We don’t want you to use energy from traditional sources, we want you to use as little energy as possible. But given that Singapore is a land-scarce country with limited deployable land, they admit that this is still a problem they’re trying to solve alongside the aid of government agencies. 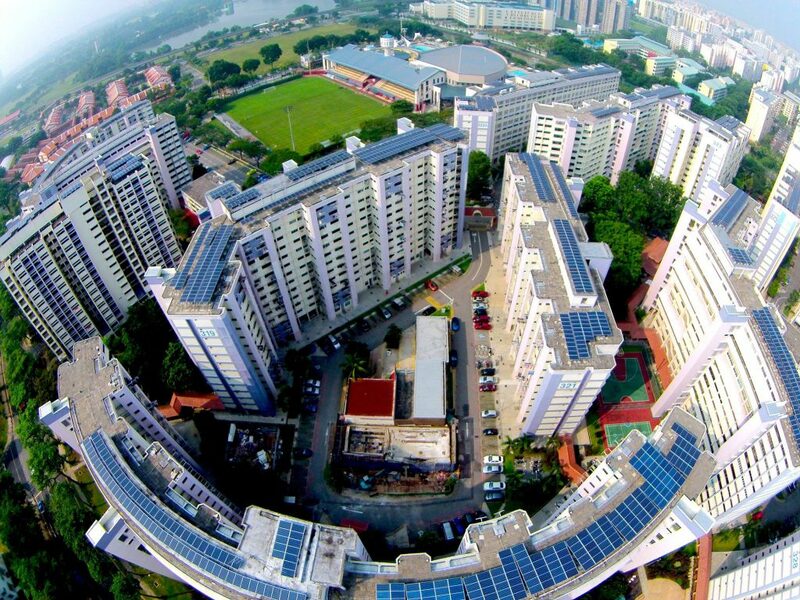 They’re also excited about the liberalisation of the electricity market in Singapore this year, which will enable residents in public housing estates to procure their energy from various energy retailers – including Sunseap. 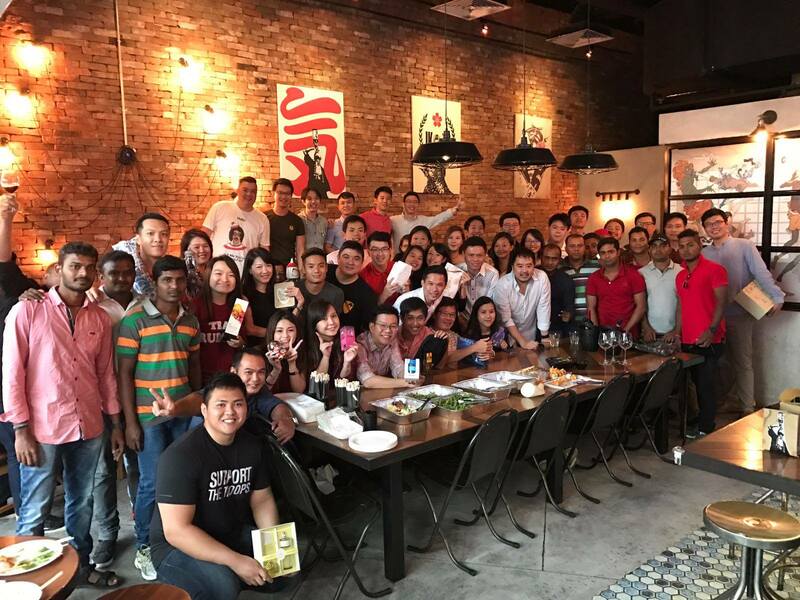 With the emergence of energy ‘marketplaces’ like Electrify.sg (which has also worked with Sunseap and SERIS) that allow consumers to choose from different forms of energy, including renewable energies like solar, the Sunseap team believes that similar platforms would only pop up in time to come. And it’s not just local rooftops that they’re installing the panels on – they’re also in Cambodia, Thailand, Philippines, India, Malaysia, and Australia. Of course, expanding overseas also comes with its own set of problems, especially when it comes to how the business climates are structured. But their end goal isn’t just profit-driven – they also want to bring electricity to rural areas in developing countries. With a strong focus on innovation, as evident from their projects and constant push to go further in providing consumers affordable solar energy, their office is also open-concept in a bid to encourage the sharing of ideas. There are no physical boundaries between co-workers – everyone seats in the common working area, including Lawrence and myself. With a good majority of their staff coming from Gen Y (1980s-early 90s), and the remaining belong to Gen X, they found that employees in general “want to work in an environment where they are free to give and receive feedback on their performances. They also want to be listened to, and to be held in high esteem”. However, as not everyone is at mark-to-market salaries, in the long run, we intend to compensate selected outstanding performers through share options in the company. Other than tangible rewards like shares and salary increments, they also provide incentives like employee bonding sessions, annual townhall meetings, flexi-hours, and so on. With their journey just starting, they’re now hiring for positions in business development, energy retail, monitoring and marketing. So what’s a tip that potential interview candidates should take note of? Ending off the interview, I asked the duo what they’d advise engineering graduates who are mulling a career in the clean energy industry – given that it’s still a relatively less traditional path to take. The energy industry is a very big field, do not limit yourself to just one area. Most importantly, you need to step out to try the areas you are interested, and look for opportunities to refine your skills. We’d like to thank Lawrence, Frank and the Sunseap team for their time! To find out more about them and their projects, follow their Facebook page here.